(Newser) – One of the most macabre moments of last night's GOP candidate debate occurred when members of the audience cheered the idea of letting people without health insurance die. "What do you tell a guy who is sick, goes into a coma and doesn't have health insurance? Who pays for his coverage?" 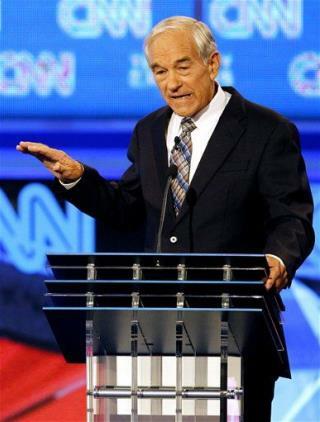 CNN's Wolf Blitzer asked Ron Paul. "Are you saying society should just let him die?" Several audience members yelled out: "Yeah!" What's the difference between Planned Parenthood (abortion) and what we heard last night? It's still killing/death for the old & infirmed and the yet-to-be-born child. Seems the same ruthless and inhumane treatment of a human being to me.